Jack Ma, the founder and chairman of Alibaba Group Holding Ltd., plans to visit Israel in May to meet with local venture capital funds and startups, according to three people familiar with the matter who spoke on conditions of anonymity. On May 3, Mr. Ma will be awarded an honorary doctorate from Tel Aviv University, a university spokeswoman said in an interview with Calcalist Thursday. In recent months Alibaba finalized a deal to buy the assets of Israel-based QR codes startup Visualead Ltd., and in October the company announced plans to set up offices in Tel Aviv as part of a $15 billion global research and development push. An Alibaba spokeswoman commented by email that the company has dialogue with hundreds of businesses around the world everyday about expanding commercial relationships and reaching Chinese consumers, and Visualead is an example of just that. The company did not comment on Mr. Ma's planned visit. As part of his visit, Mr. Ma may also meet with Israeli state officials, according to two of the people familiar with the matter. In November, Calcalist reported Alibaba intends to buy Visualead. In 2015, Alibaba announced it invested in the company, pairing the investment with a strategic agreement that allowed Alibaba to use the startup's technology in all its properties. Alibaba finalized a deal to acquire the full assets of Visualead before the end of 2017 for a few million dollars, according to one person familiar with the matter. In 2016 the company invested in Israeli augmented reality software startup Infinity Augmented Reality Israel Ltd. and in Twiggle Ltd. a startup offering a specialized ecommerce search engine. In January 2017 it invested in augmented reality hardware company Lumus Ltd., and in January 2018 in auto computer vision startup Nexar Ltd. In the search for possible Israeli hires, Alibaba may have to duke it out with another e-commerce powerhouse. After announcing plans to recruit 100 people for new research and development centers in the country in October and leasing 11 floors in one of Israel’s trendiest office buildings in Tel Aviv, Amazon has been criticized for applying aggressive recruitment tactics in the country by Israeli technology entrepreneurs. In a Facebook post addressing Amazon’s chief technology officer Werner Vogels, Shai Wininger, president of insurance startup Lemonade Inc., said the online retailer is disrupting the country’s innovation scene by introducing salaries that are three times what Israeli startups are now paying their employees. Over 250 retail technology startups are currently operating in Israel, according to a January report by Jerusalem Venture Partners (JVP), Israel-based early-stage incubator and investment fund Nielsen Innovate Fund (NIF), financial consulting firm Deloitte, and Israeli retail innovation platform The Shelf. In 2017, these startups raised over $1 billion in equity investments, according to the report. 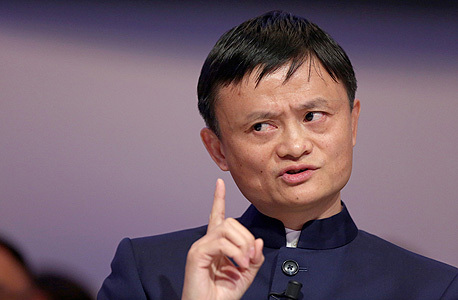 This article has been updated to include Alibaba's response to a request for comment. A previous version also stated that Mr. Ma may be awarded an honorary doctorate during his visit. A university spokeswoman confirmed the university's intention to award Mr. Ma the honorary degree in a ceremony on May 3.